My feet look really long- they are only a size 4.5???! 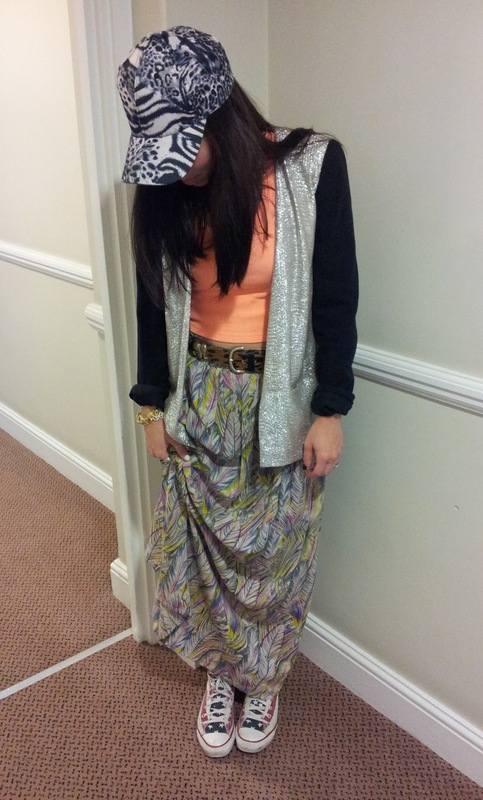 Abstract print skirt: Primark. Neon cropped top: New Look (I think I'm obsessed with it, love the fit, love the colour and love that it was about £2.60- yay for press discount cards!) Silver metallic jacket: River Island. 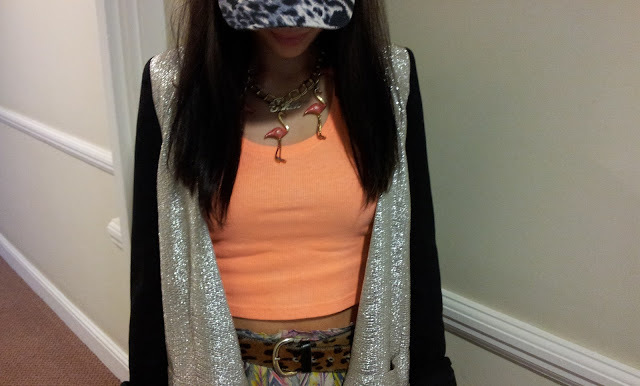 Flamingo necklace: Topshop. 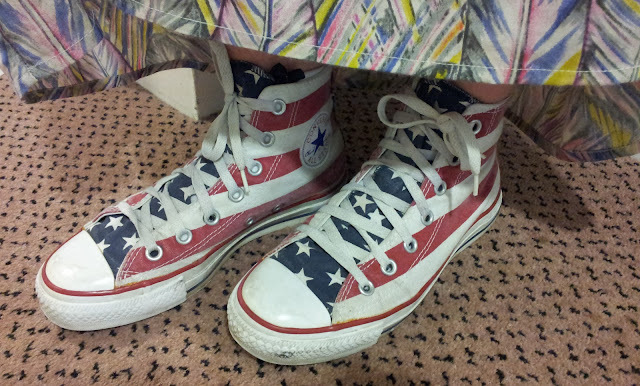 Stars and stripes shoes: Converse. Leopard and elephant belt: Furla. Leopard cap: Topshop.